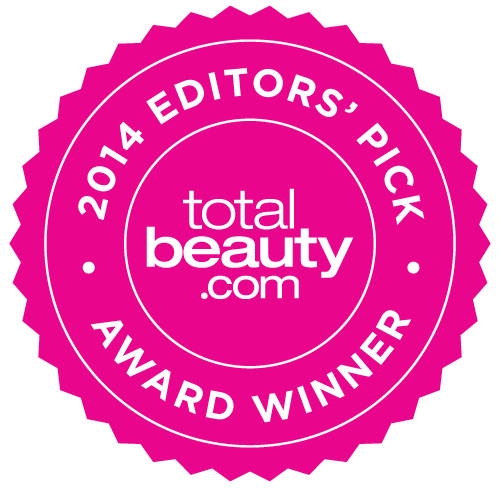 Complexion PERFECTION in a Compact! From when I was a young girl, I began to notice that the older some of the women I knew grew, the more they tended to heavily layer their faces with powder. It was freakish, it was garish, and I couldn't understand why they couldn't see themselves realistically in the mirror. They tended to wear an unflattering, cakey orange mask over their complexions, and it ended with a line of demarcation at...read more their necks, where their natural, much more pale skin began. Now I understand their reasoning, as powder absorbs oil and can disguise imperfections. But the more you use, the more you are actually bringing creases and furrows into the foreground, as powder tends to adhere to lines, especially around eyes and the corners of the nose and mouth. 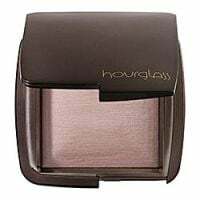 Hourglass Cosmetics has invented an amazing new setting powder formulation to minimize imperfections, disguise lines and wrinkles, and create a soft glow. It is their "Ambient Lighting Powders" ($45.00 at Sephora). Sephora has it available in six shades (more than one is flattering for all women): ETHEREAL LIGHT is a sheer, cool tone that eliminates shine and mimics a moonlit glow--even in broad daylight; DIFFUSED LIGHT is a soft, warm, pale yellow that reduces redness, eliminates shine, and gives skin increased clarity; DIM LIGHT is a neutral, soft beige that provides a perfect balance of warm and cool tones to blur imperfections; MOOD LIGHT is a soft, sheer lavender-pink that mimics the softest, most forgiving light and brightens the complexion; LUMINOUS LIGHT is a champagne pearl that creates a soft, incandescent candlelit glow--day or night; and RADIANT LIGHT is a sun-kissed golden beige that enhances the overall complexion with believable, subtle warmth. I purchased "Diffused Light" and found it with just the tiniest bit of shimmer and basically invisible on my face, except that it left a velvet-like, beautiful sheen. I also purchased "Mood Light." This has quite a bit more color, but it is wearable during the day or at night if you use a light hand when applying. The rose gives you an ultra-feminine flush and a luminous finish. You can also use it as blush. These are expensive, to be sure, but they are worth every penny and then some! I would never have tried this, but for the reviews. I have Mood Light and Diffused Heat. I definitely prefer Mood Light which is a mixture of plum tones and highlights . Diffused heat seems to be primarily reds and highlights. However, neither of them make you look shiny or glittery. My olive skin just looks better, glowier (sic) and healthier. The price tag is high, but only the lightest of touch is needed. Try the "travel" size. It lasts quite a long time. I went to Sephora one day with a list of stuff I wanted, and while I was in line, I saw the little sample size stuff, and an Hourglass Ambient Lighting Powder was one of them. I swatched it just for fun, and it was so amazingly soft that I ran out of the line to the Hourglass counter and swatched all the colors. I chose Mood Light, which is a soft delicate pink that gives me a soft, natural, lit f...read morerom within rosy glow to my fair skin. It is so natural, and works when I have full face of makeup or when I have less makeup on. Some days, when I don't feel like putting a bunch of stuff on but still want to look fresh, I dust this on my cheeks, nose, inner corners, brow bones, cupids bow, and chin, top it off with a little mascara, and I look healthy and glowy, but not over the top. It is a very soft powder, and does have some kick up. I would not recommend traveling with this, as it so soft that it could easily break. The packacing is so luxurious as well. And, while it is expensive, you get a lot of product, and a little goes a long way. It also is something you can use everyday. For those reasons, I think it is worth the $45. I plan on getting Dim Light when I have the extra cash, because I have become obsessed with strong and natural golden highlight. I also have dry skin, and this powder doesn't emphasize dry texture or patches or make me look powdery.